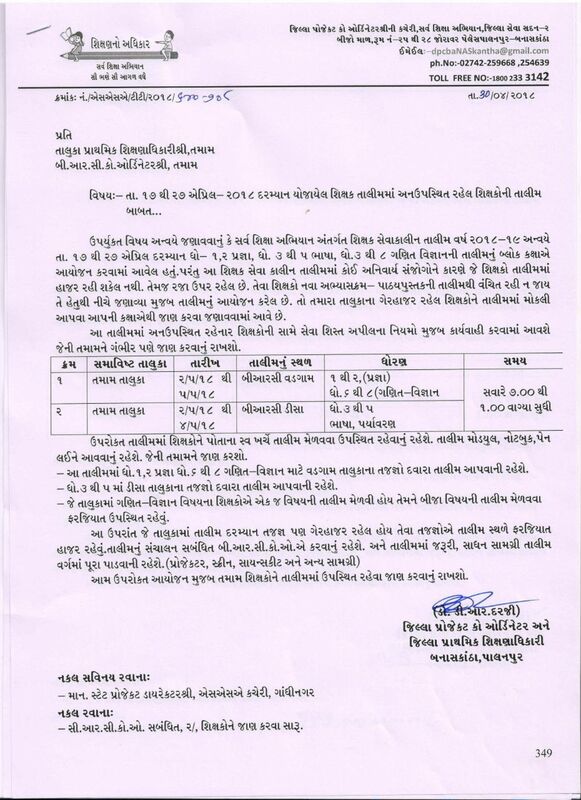 BANASKANTHA:- APRIL MA TALIM MA GERHAJAR RAHENAR SIXAKO NI TALIM NA AAYOJAN BABAT LATEST PARIPATRA. ~ :: GujaratGk :: Official Site :: Gujarat's No. 1 Educational Website..